Die untenstehenden Beiträge werden in der jeweiligen Landessprache publiziert. Bitte kontaktieren Sie uns, falls Sie eine Übersetzung wünschen. 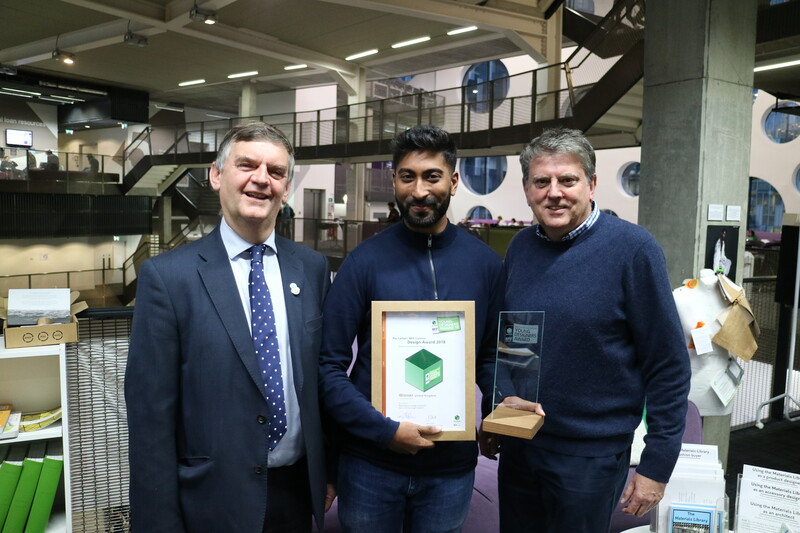 The winner of a national design competition – run by Pro Carton and its UK counterpart, BPIF Cartons – that promotes young talent in the packaging industry, has been revealed as Ravensbourne University student, Bilaal Khan. Each year, Pro Carton, the European carton and cartonboard association, challenges UK designers with developing an innovative packaging format from cartonboard. The winner of this year’s UK Young Designers Award picked up the coveted prize for his ‘vegan food kit’ that taps into the growing consumer trend for meal kits and meat alternatives. Veganism has soared in popularity in recent years, with 3.5m Brits now opting for a plant-based diet, often as result of environmental concerns. The increasing volume of those eating eco-friendly diets also means a spike in demand for eco-friendly packaging, and new packaging concepts are required for a growing market of consumers who value sustainability above all else. The award was presented by Tony Hitchin, General Manager of Pro Carton, and Jon Clark, General Manager of BPIF Cartons, at an award ceremony at Ravensbourne University – a London-based university that specialises in design and media – on Friday, 23 November 2018. The Pro Carton Young Designers Award is one of Europe’s leading annual young talent competitions for packaging design. It also plays a pioneering role in promoting sustainability as it focuses exclusively on cartonboard design, a material that is truly sustainable being renewable, recyclable and biodegradable. Jon Clark (BPIF Cartons), winner Bilaal Khan and Tony Hitchin (Pro Carton).